So, you may be wondering what kind of camera to choose for recording vlogs for YouTube? Lots of people think about this before buying a camera. There are lots of important factors to consider. For example, we know how important the flip screen is on the camera as it allows you to record in a variety of positions. However, there are a huge selection of different devices on the market and making the right decision can be difficult. But, don’t worry – I have put together a list of the most successful vlogging cameras with flip screen. I compiled it based on such important criteria as popularity, cost, and quality. At the very end of the review, I divided all the cameras into groups. Buying a device depends primarily on your goals and objectives; you’ve got to know what you want to get out of the camera. Before you purchase it, you need to compare a lot of features, such as sound quality, device size, output image, battery life, accessories, and others. You should also have a clear idea of how much money you are willing to spend. If you are just starting your journey in the world of YouTube, I have specially compiled a detailed cheat sheet for you. Before reading the camera reviews, please read my manual. It contains answers to almost all questions. For those who already have a particular camera in mind, I have prepared a review. Here are the top 10 flip cameras for YouTube based on a combination of quality, price, and popularity. I will say that personally, I think that camera is really cool. However, Canon has released an improved model: the G7X Mark II. The video quality is great. The camera records video in Full HD at 60 frames per second. This format allows you to make quality videos which can later be uploaded on to YouTube. Such a device can attract anyone who needs a compact camera for video vlogging and travel as it is light and won’t attract significant attention. Speaking about the design of the camera, I immediately paid attention to the folding screen, which can even be turned over. With it, you can not only comfortably watch the recorded video but also select the autofocus point when shooting. Many top vloggers also use this camera for their videos (e.g. Zoella, FazeRug, etc.). If you are also interested in the tripod from this video and want the same, then I found it especially for you, you can find it here. Another new feature on this camera is that it has a rubber grip on the front. This helps not only to hold the camera in your hand but also to turn it around to record yourself. This is a really good addition that helps prevent slipping because the camera will not slip as easily as the first model. Now to discuss the disadvantages. One of the main issues is the short battery life. But you can always charge the device from a portable charger or buy an additional battery. Also worth noting is that the device does not have a viewfinder. Not the most necessary feature, but for some, it will be a disadvantage. At the same time, the difference in image quality is not too significant. If you are needing a device for everyday shooting of your family, friends, walks, and trips, then perhaps it makes no sense to pay more for 4K video and autofocus since the functions of this device are enough for everyday use. The autofocus system is combined, includes TTL and manual focus. Works at a temperature from 0 to 40 degrees Celsius. 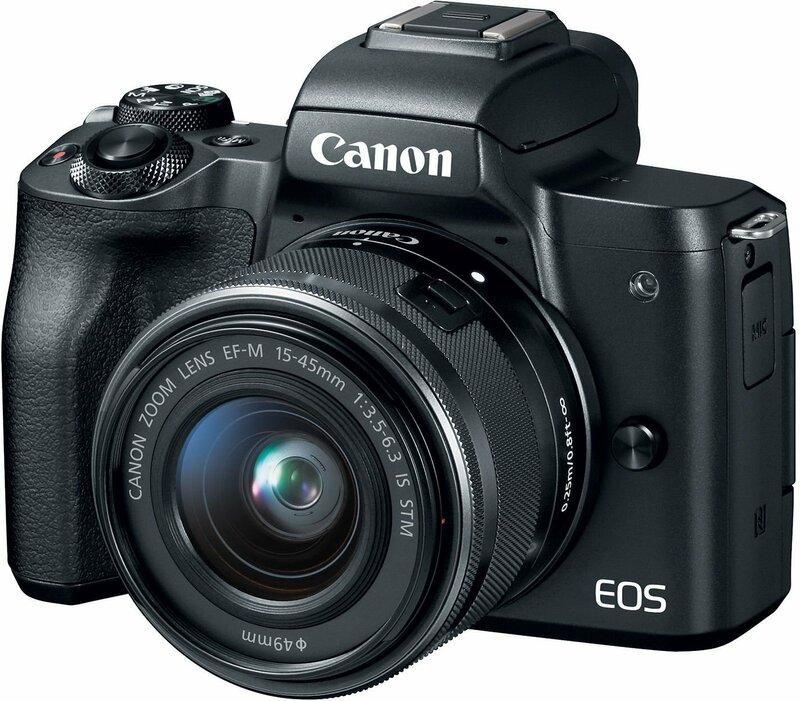 Canon released this hybrid DSLR and compact camera and removed some features to reduce the size of the device which meant it succeeded in the seemingly impossible task of placing high-quality features in a small-sized device. The camera turned out very compact which for many vloggers, is very important. No need to take an extra bag. It is enough to put it in a jacket and go. Since the camera has a large APS-C matrix, the image will be of very high quality. In dark conditions, the image will still appear, and the color will be natural. The Canon EOS M50 can also record time lapse in 4K format. It will be very easy for you to, for example, record the moon moving across the sky ay night. It should be noted that such a function is usually only in professional cameras, which are around 5 times more expensive. Summarizing all the above, you get a truly unique device, which combines a lot of interesting features. Design-wise, as I said before, the camera is compact; it is very comfortable to hold with one hand. The body, the control buttons, and main elements are made to a very high standard. It is evident that the engineers have tried and tested and developed everything focussing on quality. Regarding the general use of the camera, it is of course, better to buy additional batteries. The battery life of the camera is unfortunately not very long. It is useful to send video from the EOS M50 to a smartphone/tablet in the process of shooting – Wi-Fi technology is well implemented. So, Canon finally created a 4K video camera. And it turned out very cool. This model though does have drawbacks. However, when you watch a finished video, the difference is barely visible. This model is suitable for all vloggers who need a small device, convenient settings, low price, and high-quality replaceable optics, as well as the ability to shoot high-quality videos. It is evident that the company tried extremely hard to make a high caliber camera- and they got good results. However, GH5 is a mirrorless device. Therefore, you have a good selection of different lenses. And although we know that this mode is not useful to everyone, this is real technical development from Panasonic. 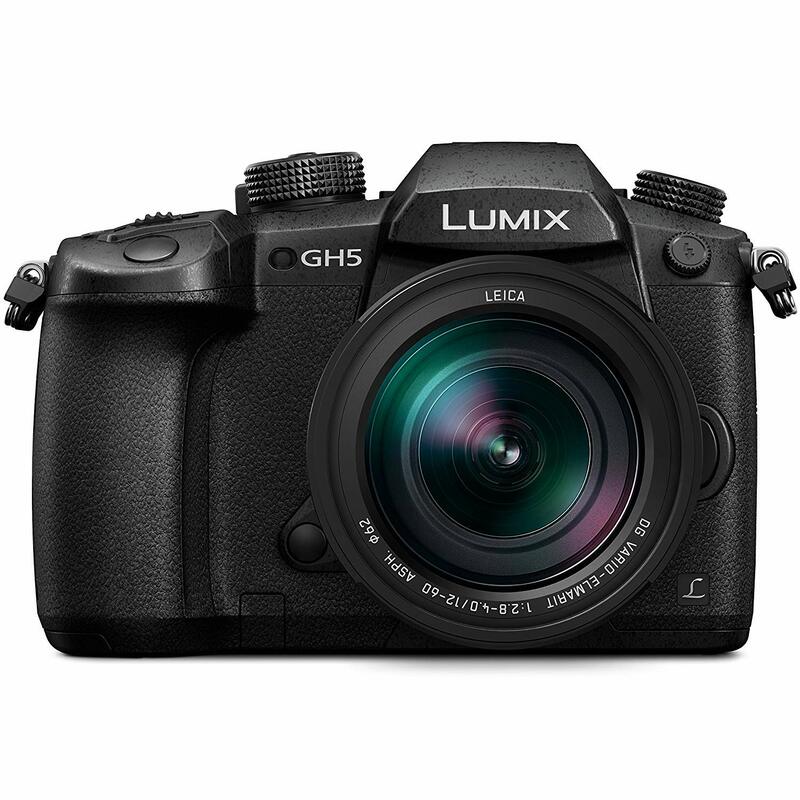 The Panasonic GH5 has an electronic viewfinder with a resolution of 3.68 million dots, as well as a 3-inch LCD display with 1.62 million dots. The touch screen of the camera is mounted on hinges and rotates in different directions so that the user can manually set the focus at any angle. Microphone, headphone and USB Type-C connectors are closely located. On the opposite side, you will find two SD card slots. This is useful for storing large files. It’s no secret that SONY is the technological leader in the world of cameras. Advanced features, excellent optics, and compact dimensions make the brand the producer of the best products on the market. And, if you like when advanced technologies are in a compact camera then this camera might be for you. Let me introduce you to the SONY RX100 V.
The company decided to significantly modify the previous version of the device and it really worked well. First of all, it has an integrated lens. Optics Carl Zeiss fully protects your image from glare, and the video quality will always be the best. It is worth noting the fact that the lens is one of the most high-aperture on the market. The aperture value is 1.8 at the minimum focal length, and 2.8 at the maximum. Add to this the special lightening of Carl Zeiss – in the dark, you will always have a decent picture. However, this is not all. Like many cameras in this segment, the Sony RX100 V shoots in 4K format 30 fps. But, the device records 2 videos simultaneously: in a raw format without loss of quality, and in a compressed form for publication in social networks. Adding to this, the fact that the camera has built-in Wi-Fi, and you get the opportunity to share your videos immediately after recording. The uncompressed Log Gamma format, which came from professional camcorders, will give you, after processing, a picture that sits high above competitors. It is worth noting that the camera also records Slow Motion video in the forms of Full HD. However, the slowdown is simply unreal – 1000 frames per second! To summarize, this is a really cool video quality for its price. Huge opportunities for professional video recording – and all in a fairly compact package. The autofocus system cannot be equaled; there are 315 points that will allow you to not miss a single moment. The focusing speed is the fastest in the world – 0.05 seconds! You don’t have to worry about lost scenes – the device will do the work for you. So, let’s say a few words about the design. 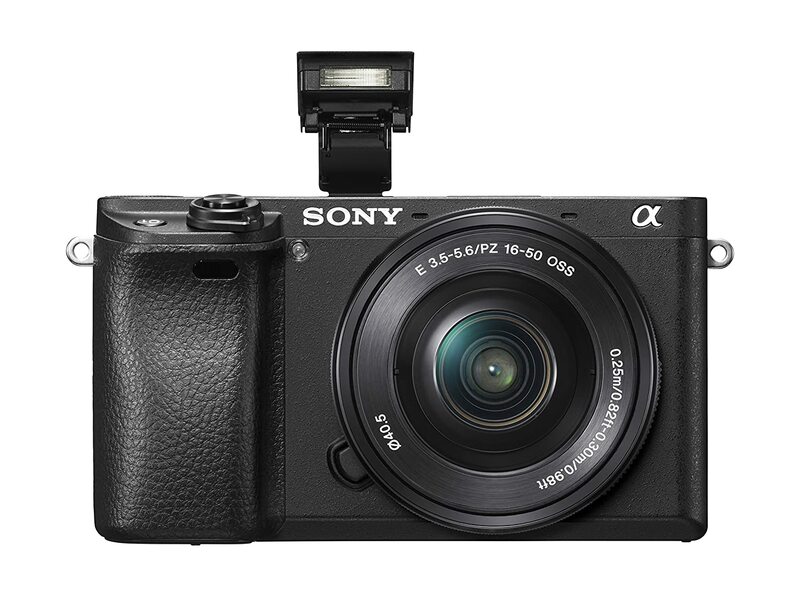 The SONY RX100 VI has a very compact size, like a smartphone. This device can be easily placed in a jacket or coat pocket. This will give you great mobility opportunities. It’s easier than carrying a DSLR backpack, isn’t it? The buttons are located very conveniently – the control is balanced. The camera also has a swiveling LCD screen that can even be flipped over. It is very convenient for selfies. However, the SONY RX100 V also has an electronic viewfinder with a resolution of 3 million. Probably, not everyone will use it – but it’s a very interesting feature! You can also pay more to buy the convenient battery grip. It will expand your possibilities for everyday use. The battery in the camera is very good, it allows you to shoot for a long time. There are two main disadvantages though. Firstly, the SONY RX100 V sometimes turns off when recording in 4K – the matrix overheats. Just remember it is better to use it in cooler weather. Also, the LCD-display is not a touchscreen – however, this will not be a serious disadvantage. 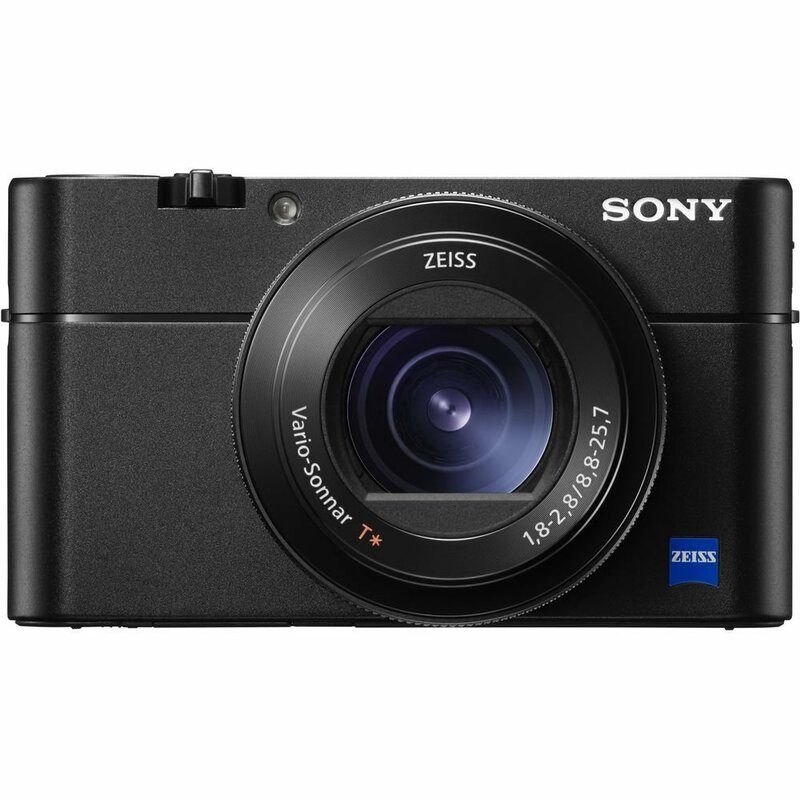 SONY RX100 V is a very compact camera, with powerful features for recording serious videos. If convenience and universality are important to you – this solution is the best on the market for its price. The fastest AF in the world among digital cameras. LCD display is not touch. The device is a major upgrade of the old model – Сanon EOS T6i. The device had been on the market for quite some time, and it won the trust of many users. However, this new device turned out even more interesting. Why do I think so? Let’s take a closer look. The first thing you need to pay attention to is compactness. It will be easy to take with you anywhere. Furthermore, I know that for many newbies to the vlogging world the price of the camera is important, and you will be pleased to know this device is not too expensive. So, the Canon T7i, with its compactness and relatively low cost, can really be considered the “golden mean” in the DSLR world. The dimensions of the device are small, whilst the internal capabilities of the device are very good, as good as many expensive devices. 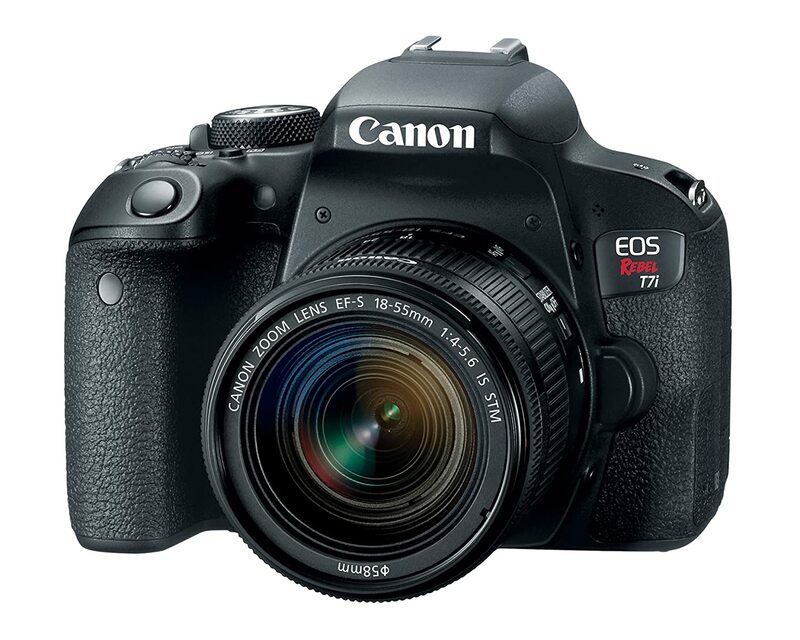 The Canon T7i comes with an APS-C format matrix, as well as a DIGIC 7+ processor. You can use a variety of lenses, including any Canon 50 mm f 1.2 for a couple of thousand bucks. This regular camera can, therefore, be turned into a serious tool which is great. The Canon T7i comes with a cool dual pixel CMOS AF autofocus system. In conjunction with the touch screen, as well as the Touch AF and Touch Shutter functions, you will have everything in order to perfectly focus on the desired subject. The screen has a hinged design which allows you to rotate the display in any direction. You can even take a selfie by turning it vertically 180 degrees. A few words about the quality of the video. Canon T7i shoots in Full HD 60 FPS. Not 4K, like many competitors, but the quality is still very good. Add to this several video recording modes, the ability to connect an advanced microphone – and it will be difficult for you to find better. Like most Canon cameras, the T7i contains a Wi-Fi module. This allows you to not only easily share the footage to social networks, but also to control the camera remotely. My advice for those who are serious about video recording is to equip the Canon T7i with additional accessories, revealing its capabilities to the maximum. I recommend you buy you a tripod, a couple of additional lenses, as well as a microphone with protection from the wind – which will give you a very professional device. Why do many YouTube choose this camera? Because it combines power and compactness. Why take extra weight in a bag? Consider the main disadvantages of the model. Firstly, the Canon T7i does not shoot in 4K format. But it is worth noting the following. Good software features allow you to record FullHD picture better than 4K video on many other devices. In addition, the interface is very simplified. However, not everyone needs complex settings, especially for beginners. It is also worth noting though, that the built-in battery shows aren’t the best. You can, however, of course, purchase several extra batteries in order to record more video. Overall, the Canon T7i is a very balanced device. With its small size and low price, it contains features that will appeal to many: Full HD 60 fps, advanced autofocus, touchscreen display in all directions, and a fast processor. If you combine all this with additional accessories, you get a really cool device for creating high-quality video. You probably know that SONY produces some of the best lenses in the world. However, the company also a reputation for producing high-quality cameras. First, Sony developed a special matrix for the a6300, using special technology. This reduced the size, and most importantly, increased the speed of reading data. But this is only the beginning. The fact is that the autofocus consists of more than 2000 points distributed over the entire surface of the sensor. By selecting a frame area, the camera simultaneously uses 425 points in this area, which allows you to accurately track any object. It is worth noting that the focus in video mode has a lot of settings. The camera does not just identify faces with a smile and focuses on them; in large portraits, it finds eyes and brings focus to the eyes- arguably the most important part of the face! What’s even cooler? You can register known faces in the menu and specify a priority person. Thus, the camera will not look at one person while another is present in the frame. It’s is designed, despite its compact size, with a very comfortable grip. Simply put, the camera is made so that it can be operated with one hand. Pretty cool right? Another interesting feature is that it charges from a USB. When the power is connected, the camera takes energy from an external source; after it is turned off, it switches to battery power. This means that by using a power bank, you can shoot infinitely long scenes without changing the battery on the camera which will be especially helpful when shooting time-lapse scenes. There are drawbacks to the camera of course. First of all, the screen rotates only vertically and has no touch controls. Also missing is a headphone jack which some users may consider significant. Do you like when camera control is simple? Do you want to get a very smooth video, but don’t want to spend a lot of money on steadicams? Due to the combined stabilization, the recorded video will be very smooth- you will not be inconvenienced by any shaking you may encounter whilst filming. This will allow you to use the device in all conditions. The camera records video in a 4K format which is of very good quality. Panasonic G85 will help keep the image sharp when focusing manually. How does this work? It’s simple. The vlogger shows in this video how G85 shoots in practice, as well as some autofocus capabilities. In my opinion, it looks very cool. Overall, we can say that the Panasonic Lumix G85 is a decent camera for keen vloggers. Lightweight and waterproof, it is equipped with a mass of controls, a rotary touch screen and the ability to adjust for themselves. Video quality is excellent; Autofocus is very reliable, multiple stabilization makes it easy to shoot with it. Simply put, this camera should easily meet the needs of most. Do you want to record high-quality video and further equip your camera for the best video quality? I think you will enjoy the Canon 70D. Canon has been making equipment for professionals for a long time. Excellent image quality, a lot of different settings, advanced control, the ability to add high-quality lenses. This camera has also gained immense popularity in the vlogging community. You can turn amateur DSLR into a smart professional device by purchasing additional equipment. Simply put, you get a huge opportunity to customize the camera for your goals and objectives. 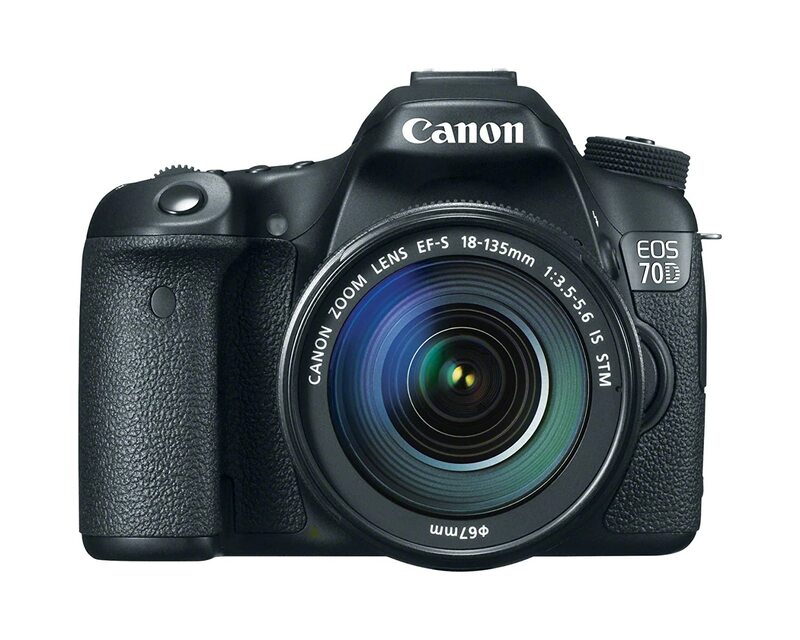 The Canon 70D has a built-in processor that is commonly used in much more expensive models. What can all this give you? Simply incredible features for advanced video. In fact, the Canon 70D is a mix of professional and amateur cameras. The device has a clear menu, is well and reliably assembled and it has a battery with good capacity (1800 mAh- film two hours on one charge). It is worth saying that the autofocus system in the Canon 70D is very fast and rarely wrong. This will be a very big plus for those who shoot dynamic scenes. Summing up, we get a very reliable machine. Good pictures in low light and huge possibilities for customization which allows it to compete with professional cameras of the highest price category. And what can I say – this is very cool. A few words about its design. The camera is assembled from a special plastic with rubberized overlays. The body of the Canon 70D looks great and feels good to use and has a good grip. I tried it myself – for a very long time I didn’t want to let go of the device! You definitely won’t drop the Canon EOS 70D – the device is very pleasant to hold on to the weight.It is very well designed and a lot of thought went into making it. Of course, there are a large number of different connectors – you can connect an external microphone, an external battery via USB, or bring the film you have shot to the TV screen via the HDMI port. There are a lot of options. I will give you some tips on how to properly use the camera. The first – it is better to add a large number of accessories which of course will cost you more money but it will be worth it. I also want to warn you – be careful with the touch screen. In extreme shooting situations, it is very easy to damage. Above, I already wrote that on one charge you can record the video for a couple of hours. This is very cool, but there are competitors with longer battery life. Therefore, I would advise you to bring along another battery pack. It will be even better if you have 2-3 replaceable batteries in your bag. Why is the Canon 70D so popular with YouTube vloggers? As I have said, the picture quality can compete with professional models. Also, the high-end processor provides very good autofocus. Canon is currently a very significant player among SLR cameras, while the 70D remains a highly marketable device. Notwithstanding the fact that a new model Canon 80D has already been released, the previous one is a classic among many vloggers. And so, it is hard to be surprised that a large number of people choose the Canon 70D to shoot their films. For example, CaseyNeistat, a very famous Youtuber with more than 10 million subscribers, believes that this camera is the most successful “golden mean” in our time. He has 5 cameras from Canon, but he often has issues with the company. However, Casey takes the Canon 70D on a trip to Cuba. So why do vloggers love this model? Simply put, the main trump card is the fact that the camera can be very seriously improved. High-quality lens, several external microphones, remote control – now you are holding a professional device. What are the disadvantages of this model? Perhaps the only drawback for such a device is that there is no connector for the second SD card. But this will not be a very big minus, you just need to buy a big drive. What do we have overall? Focusing through the rotary touchscreen is very convenient. The ability to connect an external microphone to record great sound is not a problem and there are plenty of other ways to additionally reveal the potential of the device. Excellent build quality, professional video capabilities – and all this at an affordable price. It’s no secret that over time cameras are getting smaller, whilst their capabilities increase. Panasonic has recently released a very interesting device that is no different. Do you like when powerful functionality is combined with the small size of the device? Then pay attention to the Panasonic LX10K. First of all, it should be said that the camera has the most high-aperture lens on the market from the company LEICA. The aperture value is 1.4! This means that in dark conditions the device will still catch a lot of light and it will still be able to focus well. Also, an intelligent 5-axis image stabilization is already built into the lens, which compensates for every movement. All this with a small size. Video quality is up to the mark. You get a full 4K 30 FPS. The Sony RX100 V is the only other compact camera on the market that can record in 4K but it is almost twice as expensive! Full HD 60 FPS is also available. I note that in Full HD format, you can record Slow Motion in 120 FPS. Not bad for a compact camera. Autofocus in video mode also works great – smooth, but quick adjustment with extremely rare misses. Also, the Panasonic LX10K is equipped with a pair of built-in microphones – this gives you excellent stereo sound. All this makes the camera a great tool for recording video in difficult conditions. A very interesting feature is the interval video. The device takes many frames in increments from 1 second to 100 minutes. Upon completion, it is possible to glue the resulting material into a video file. As a result, you get a video with the acceleration of 30-3000 times. If we talk about design, then everything is great, no questions asked. The control buttons are made very thoughtfully and are convenient – you do not have to move your finger to adjust important shooting parameters. The lens also has a separate control ring. The rotary display rotates 170 degrees vertically – you can even flip it to take a selfie. I will say that the screen has excellent viewing angles, and the picture on it is close to real. This is very cool for such a device. However, the built-in battery only lasts for one and a half hours of video. And I think you should buy extra batteries. But importantly, the camera can be charged via USB. Therefore, you have many ways to extend the life of your device. Built-in Wi-Fi allows you to control the device using a smartphone. However, it is worth noting that almost all competitors also have such a function. 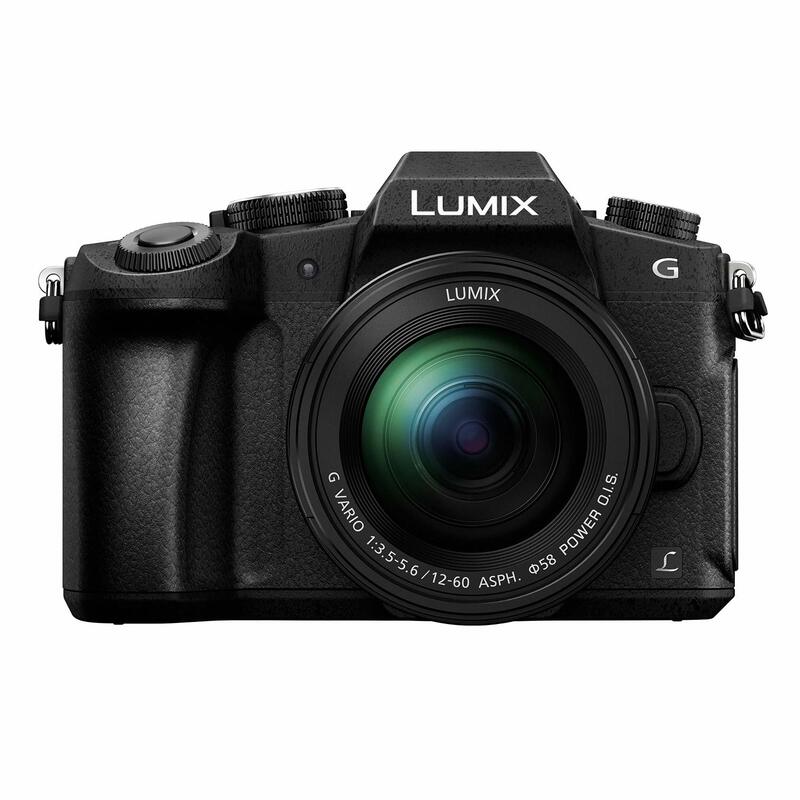 What are the disadvantages of the Panasonic LX10K? Besides its short battery life, another issue is that you cannot connect an external microphone. But, do not forget that this device is designed for compactness. 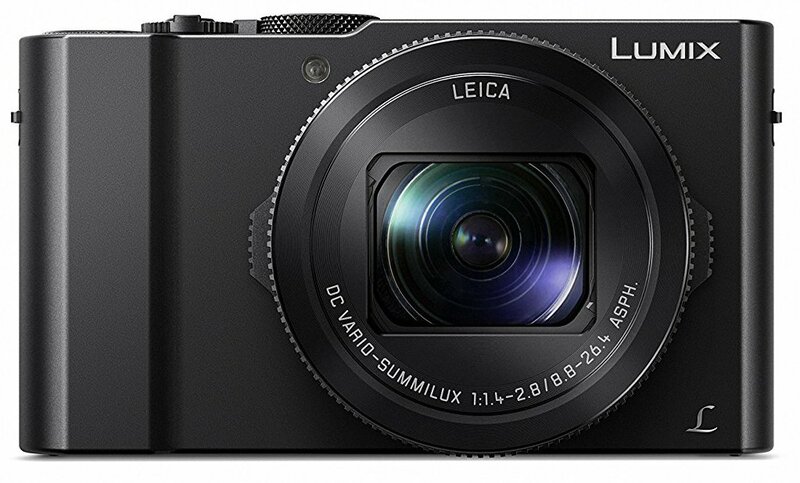 To conclude, the Panasonic LX10K for its price is one of the best devices on the market. Why do I think so? It has a super-realistic fast lens, excellent 4K video, interesting possibilities for shooting as well as powerful functionality all the while being a very small size. This camera can be easily put in a pocket, but at the same time, it allows you to get a picture comparable in quality to more expensive cameras. And I’m sure that the Panasonic LX10K will suit most blogging enthusiasts. Good picture on the output. Cannot connect an external microphone. Are you new to the vlogging world? You want simplistic settings that you can understand, and at the same time shoot a video of very good quality? 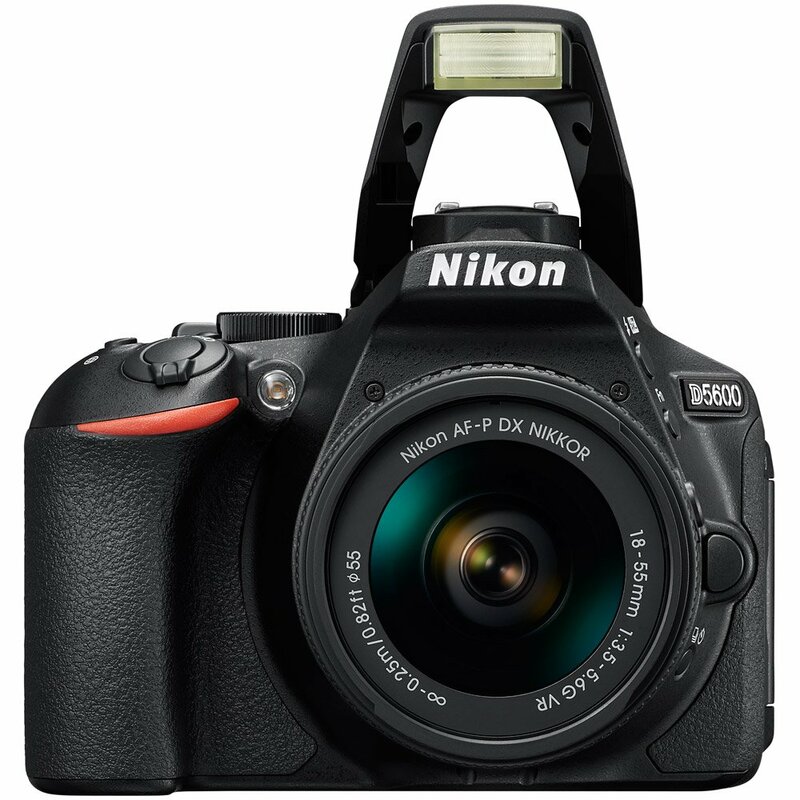 Then I advise you to take a look at the Nikon D5600. I must say that this company has many years of experience in the market. Therefore, Nikon cameras are always very well designed. The device works fine in the “Auto” mode. This means that even if you are not able to understand the more complex settings you can simply turn on the video recording and the device will do all the hard work for you. The auto mode in the Nikon D5600 is really good. Let’s look at the functionality. Firstly, the video is recorded in Full HD format. Yes, no 4K resolution – but the Nikon D5600 has a large APS-C matrix. This means that the video will be of excellent quality even in 1080p format. Additionally, the lens can be replaced by a more advanced one. You can get a picture close to professional – due to the high-end optics. The autofocus of Nikon D5600 is fast, there are no problems. In most situations, the camera will do an excellent job with complex scenes. The display is touch-sensitive, it rotates in all directions. This will be a very important advantage for vloggers. Also, the camera has a built-in Wi-Fi module, meaning it can be controlled by a smartphone. Such a possibility can often come in handy. The video modes are very interesting. There is even an automatic Time-Lapse, which is reminiscent of professional cameras. If we talk about the general design, then in my view the device is comfortable to hold even in one hand with a heavy lens. The materials are pleasant to the touch and there are also a lot of built-in connectors. In short, everything has been done very well. Okay, but what do famous YouTube people say about this camera? Well, the built-in battery is not the most powerful. However, this is easily solved by buying an extra battery. As I said earlier, the camera does not shoot 4K. However, the quality of Full HD is still very cool. So, it can be said that the Nikon D5600 is perhaps a very simple camera in comparison to others on this list. However, it still gives an excellent video. If you do not want to deal with the settings, but simply shoot – Nikon D5600 is perfect for you. It is made for beginners. Good picture at high ISO. YouTube vlogging devices are made for different purposes. A device may capture a good picture but in many extreme situations, such as parachuting or snowboarding, you will need maximum protection from shock. I have gathered for you devices with protective bodies. In addition, I highlighted in the reviews some important details that certain vloggers will need. Many companies produce video cameras now with old and relatively new firms (e.g. DJI) now competing. It’s no secret that engineers are constantly working to make new devices better. Moreover, sometimes relatively new devices are even more interesting than models from already proven brands. Sometimes young firms produce unique things. I have looked at devices from large companies, as well as some of the most interesting new devices. When a customer chooses a device, first of all, he pays attention to the ratio of price and quality. But in fact, everything is more complicated. Usually, all products can be divided into 3 price groups. The first one contains the most sophisticated but at the same time the most expensive options. “Golden mean”, a product with good features and a good price refers to the second group. If we talk about the last/third category, then usually these are budget solutions – the cheapest products with more or less average functions. Group 3 is suitable for those who are just starting out their vlogging journey. It should be understood that the different groups are aimed at different customers. It all depends on what their objectives are. I have made for you a list of the most successful cameras in terms of quality and price. Also, at the end of the review, you will find those 3 budget groups. I think this will help you with the final decision when buying a device. When I made the final list of the best flip vlogging cameras, it took a lot of time to study the reviews from the professionals. Usually, they show the strengths and weaknesses of each model. My fellow vloggers gave me a few cameras to test. All this made it possible to get to know each device in great detail thus the reviews turned out to be very detailed – I invested in them what I myself learned. I am sure that all this will be useful for you. Should you be willing to spend more for a high-end product? The cost of the device plays a significant role. There are a huge number of devices on the market, which vary greatly in price; from 300 to 1500 dollars. Professional-style camcorders are generally not sold for less than $ 1,000; but more budget-friendly models do still have very good video quality for everyday shooting. Each vlogger is looking for a camera that, for a certain amount, will contain the maximum possibilities. The basis of this type of camera is a mirror that displays the image on the display in real time. It should be said that such cameras have the largest sensor on the market. This feature gives you a great picture quality in all conditions. Fujifilm GFX 50S is a powerful example of these cameras but it costs $ 15k with optics. Devices of this type have long been recognized in the world of photographers. They can also record high-quality video even in poor light, and on the finished image you get clear and realistic colors. Also, DSLR can be equipped with professional accessories (e.g. microphone, tripod, etc) and lenses can be replaced. You can turn an ordinary camera into a high-end device. These cameras are very similar to DSLR models, only smaller in size. I believe that these devices are a technological breakthrough. Why? Because engineers have combined a small package with the best video quality on the market. I must say that because of this, DSLR cameras are gradually being squeezed out of the market since this technology is becoming obsolete. Therefore, it will be interesting to see how the market develops. In such devices, it is impossible to replace the lens. Often engineers build a large zoom feature into these compact cameras. This will be useful for travelers who like to shoot far away objects. These cameras are also relatively lightweight. Point and Shoots cameras are suitable for those who may want to remain inconspicuous and are not interested in additional accessories or lenses. They are appropriate for someone who appreciates convenience, compactness, and ease of use – and at the same time want to get a cool video. For travelers who are not too demanding of picture quality in low light, this camera fits just perfectly. Well, I must say that if you buy a camcorder, then you need to know what you are doing. Such a camera is incredibly powerful, but its potential is very difficult to unleash as it has a lot of different settings. Therefore, it will be difficult for a beginner to create a really cool video. But, if you are already well versed in this field then feel free to try out this type of camera. Camcorders use technologies from professional film devices – you will have no competitors at all. Fantastic picture quality, full control over the shooting, unrealistic possibilities for processing. This is the Ferrari in the world of cameras. These cameras are suitable for professionals, and for those who really emphasize the quality of the video. This is a premium machine. What do you want from your camera? What video do you want to create? When you get to know all the various types of cameras, it won’t be so difficult to make an intelligent decision. Next, I have prepared for you the main types of vlogs at the moment. Perhaps the most popular type of vlog – we all love sharing our everyday life. Also, this vlog is probably the most affordable as in theory it requires little effort. However, there will be a lot of competition. You need to be original when creating your videos. I advise you to look at balanced devices – for example, Point and Shoots Cameras. You get a great video, and at the same time good mobility as they are compact. To create these standard videos, these cameras are quite suitable. Lifestyle is a big category and it all depends on your goals and objectives. In order to make a beautiful looking video in your indoor studio, you will often require a lot of accessories. Also, there are no requirements for the size of the device – but the video quality should remain high. DSLR Cameras, Mirrorless Cameras, or Camcorders will be excellent helpers for such a vlog. Other devices will not cope with this task. For beauty gurus who demonstrate how to do makeup, the quality of the video for the audience is very important. I advise you to look at the Mirrorless Cameras – such cameras will give you a good picture, but at the same time simple operation and compactness. 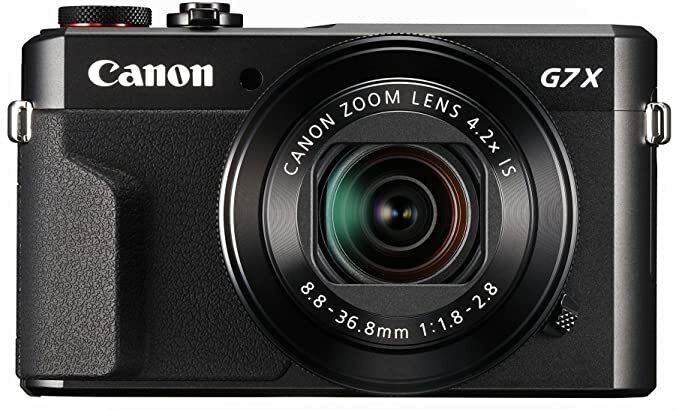 Point and Shoot models, such as the Canon G7X Mark II, will also be an excellent solution. Separation of cameras in terms of price is at the very end of the list, as I said earlier. Now let’s take a look at the factors that should be given great attention when buying a device. You want to make really cool, top-end content since vlogging now is so popular you are going to want to stand out from the rest. Below for you are listed the main factors that affect the quality of the video. We must immediately highlight the fact that the Full HD format with a recording frequency of 25-30 FPS is suitable for most vloggers. This resolution is optimal in many situations. I note that this resolution is now supported by absolutely all devices, and on YouTube, it is a reference. Shooting in this format is very profitable, since the amount of content created in 4K increases every day. However, this video resolution is not suitable for every vlogger – it depends on the specific situation. You can achieve high-quality video without it but make sure to give your viewers the best standard you can. The higher the frame rate the sharper the image. A really high frame rate may create too sharp an image, but it is your choice. For comparison, movies are shot and displayed at 24fps. Many digital camcorders take 25 full frames per second instead of 50 half-frames, which is typical for television. As a result, fast movements during playback of a captured clip may seem too sharp. Some people don’t like it, but some people like it, given that this feature gives the video clips the effect of feature films. The choice is yours and the preferences of your audience. In order to shoot very dynamic scenes and scenes, you will be a very useful high frame rate per second. However, if your shooting is very informative, then 25 frames per second will be enough for you. Also, it must be said that the DJI Osmo Pocket keeps track of faces very well even when moving which is really cool and when you move, the focus moves with you. This question is one of the simplest. Either you have the option of changing the optics, or the lens is permanently built-in (i.e. universal). But you should be aware that not everything is as simple as it seems at first glance. Those cameras that allow the possibility of replacing the optics, give the best image. But at the same time, their cost is significant, and they tend to weigh a lot which obviously won’t appeal to all vloggers. However, if you have a built-in universal lens, then it will be versatile and you won’t have to worry about buying another. If you are new to the world of vlogging, I recommend that you purchase a 50 mm lens – which will last you a very long time. This is the best budget solution. The large matrix also has a very small noise value in low light. I believe that this is a weighty argument when choosing the type of camera – the best choice is DSLR or Mirrorless Cameras. In other words, if the video quality for you is the main parameter, then such a device will suit you. Camcorders give an even cooler picture, so pay attention to it. This is when the recording parameters are selected by the camera processor. You don’t have to worry about the manual settings, as well as the choice of modes. For beginners, this mode will give them an advantage. Your device will automatically select the best parameters for shooting the best scene by measuring the amount of light falling on the sensor. It will not distract you from the most important thing – from the whole shooting process as a whole. Therefore, I think that this would be a very good decision for those who are just starting their journey on YouTube. Do not be afraid of this complex term. Optical image stabilization is a special mechanism that compensates for any shakiness during shooting. Almost all manufacturers value the quality of this feature and stabilization is already built into their cameras. However, there are types of devices that have gone further. These are DSLR Cameras and Mirrorless. Not only do they often have a built-in stabilizer, but they also contain their own, special stabilizing system. This combination gives you the ability to record absolutely smooth videos, in any situation. It is important not to miss significant points when shooting. Sometimes objects are far away, and you have to zoom in. It is necessary to consider only the optical zoom because the digital quality reduces the final image. Honestly, built-in microphones haven’t been used for a long time by most successful vloggers. This, frankly, is the right decision. An external microphone, purchased separately, gives you a much better sound than you could get from a pair of holes on the device case — logical, right? I think so too. Even many devices in the highest price category have a very bad microphone. You just need to purchase an additional accessory! This choice though, won’t be as simple as you think. Before you buy, you need to decide what are your goals. If you are a musician, a reporter or a singer, then obviously you need a very powerful device which is obvious. Viewers always want to hear a really cool voice and an external microphone will help you with this. Now there are a huge number of microphones on the market that can be used with any camera. Let’s look at the best models that I have listed for you. Blue Snowball iCE: This model will suit the musicians perfectly. The device is very easy to use. Fifine Metal Condenser Recording Microphone: for a home studio, this will be the best solution. Neewer NW-700 Professional Studio: also a good choice for studio studs. Let’s take a closer look at the main types of recording devices. Lapel Mics – These microphones are the most versatile. They are suitable for most situations and will not cause serious difficulties in use. Shotgun Mics – This type of microphone allows you to get sound using special technology. They are based on the principle of orientation. Such microphones are very good to use with wind, rain and other weather cataclysms – the sound will be good. Condenser Mics – Here you get the highest quality sound on the market – everything is created for professionals. You can get absolutely pure sound. However, such devices are large and cannot be taken around with you. This is for a studio, and you should understand this. If you are going to walk for a long time with your device, then the weight of the camera is significant. I think this is obvious. Who wants to take an extra kilogram with them? I think only masochists! I want to note that if your device weighs more than 2 pounds, then you will get tired with it very quickly. Don’t even consider, for example, skiing – it will be difficult for you to do a regular walk. Weight plays a very important role, arguing with this is useless. However, it all depends on what you want to get from your device. If you won’t be walking around with it a lot, the weight will not play a particularly serious role for you. Weight is clearly related to size and the best cameras contain the largest matrix which gives you the best picture. The optimal weight, in my opinion, is 1.3 kilograms. Therefore, pay attention to such devices. Unfortunately, not all cameras can work for a long time on one charge. Often, the vlogger will only have a few hours before the battery goes out which is unfortunate. Therefore, I strongly advise you to buy a couple of extra batteries. This simple action will solve many problems. Your video can end at any time, so take care of this issue. Also, battery packs are available for many cameras. If you are filming in harsh weather conditions, for example where there will be snow, water, dirt or dust your camera will need to be protected. Only action cameras are suitable for such tasks as you will need a strong and waterproof device. In addition, covers, for example, on the DSLR or Mirrorless are very expensive. Such a factor as external lighting is very important for those who are engaged in studio shooting. If the whole picture looks bright enough, the viewers are more likely to watch your channel. You need to use at least basic studio lighting. However, if you are a professional, you already understand what you need to have to be successful in this area. For most vloggers, this solution will be best. Advanced features, good equipment – while the price remains small. If you need a secure mount for your device, the tripod, in this case, will be just perfect. You get a steady frame in any position which is important. I think you will appreciate this accessory. As I said earlier, stabilizers make your image perfectly smooth. The DJI Osmo Pocket already has one built in but for the rest of the cameras, you will have to buy it separately. I do not think this is a big issue though. However, the sizes of them are quite big often larger in size than the camera itself for vlogging. Currently, the number of Steadicams on the market is not very large so there is not much choice. In any case, the purchase of such a device is a very good investment in a future vlog. An optional charger is a very important thing for any vlogger as when you shoot a video with an additional charger, you don’t have to think about how long your device will last. You will be completely immersed in the process itself. It is very important to purchase a pair of batteries in order not to worry as a dead battery can ruin your shooting. I advise you to beware of fakes and buy batteries only from proven brands. If you shoot a lot, it will be very useful to buy an extra battery in the shape of a handle. This thing will be very useful for those who give their device a really serious load. Because such a handle holds a charge equal to 3-4 standard batteries. You can also charge the camera using USB. In this case, make sure that your device supports such a function. The main differences between memory cards are the amount of storage they hold. It makes no sense to buy media over 64 GB for cameras that do not write 4K video. The optimal size is just 64 GB. However, even faster cards are now available: UHS Speed U1 / U3 – up to 5 times higher than class 10. We recommend you a microSDXC UHS Speed U3 memory card. It is advisable to choose proven manufacturers. To protect the camera from various influences there is a special bag. It is always very convenient, and if you want to make a high-quality video, then it can always be quickly released from the case. Before making the final list of the coolest flip cameras, I had to collect a lot of information. For this, I read reviews over a long period and watched reviews on YouTube. I managed to identify the 3 most successful and popular options for you. Let’s look at them separately. You can see how vloggers use this or that device. The reliable case, excellent management, professional video capabilities. I think this is the most advanced choice up to $ 900. The most popular YouTube vlogger uses a professional device. The highest image quality, extensive management capabilities, many settings, a large number of accessories. This camera is a hybrid of a professional camera and a device for vloggers. Therefore, in the near future, it will have no competitors in the market. We can say that this camera is at the top of our list. But you need to know how to use this device. Therefore, we do not recommend it for beginners. Now that you have a complete picture of the flip cameras for the blogging, it’s time for the final part of our guide. You have received a lot of knowledge about the products on the market and hopefully, soon the best choice for you will be easy. It now remains only to find out the most important thing – how much money you are willing to spend on your device. I collected 3 price categories of cameras, each representing the best model. If you are ready to invest well in your future of vlogging then such cameras will be the ideal solution. Cameras for such a price usually have professional capabilities that are inaccessible to most ordinary devices. Also, they often come with important accessories, such as an external microphone. If you want a video of higher quality than competitors and are ready to equip the camera with cool additions, take a look at these cameras. I will explain in more detail. The sensor and processor of such devices have very serious potential, which can only be revealed with the help of high-quality optics and good accessories. Therefore, consider whether you are ready for such an important step in your future career. If your answer is “Yes”, then you will get the best quality video in the YouTube world through additional accessories. Camcorders, as well as top Mirrorless and DSLR, make up this group. If you want great quality shooting at a reasonable price, take a look at this price category. You will have access to excellent features for setting up a recording, excellent management, and much more. In this case, the body will not be bulky, but the video will remain at a high level. In other words, this is the golden mean in the world of flip cameras. These devices have the best value for money. If you just started on your exploration into the world of YouTube, then you need to look at the most budget devices. Do not spend a lot of money on the camera, if you do not know what you need. Such devices don’t require large sums of money whilst the quality will still be quite decent. Before you spend significant money, this type of camera will give you an understanding of which direction to go. Such devices are the most affordable. What Are The Factors To Consider When Buying A Flip Camera For Filming Youtube Videos? In fact, there are a lot of different factors. Firstly, video quality, price, management, as well as the ability to embed various accessories for full-fledged shooting. I highly recommend that you read the full guide I have written. In it, all things are told in a simple and understandable language, and many questions will be answered. What Kind Of Flip Cameras Do Most Youtube Vloggers Use? Even before purchasing, they decide on their goals and objectives. Therefore, the capabilities of the device, they reveal the full maximum. Among all types, the coolest is the DSLR. As I wrote earlier, Mirrorless in this regard is approximately equal to DSLRs. However, this type of camera has not yet been mastered by the users as it is new for them. It takes time. Both types of devices are usually equipped with a set of various additional devices – yet the potential of the camera needs to be revealed to 100%. How To Setup A Flip Camera For Vlogging? This aspect can be quite complex. Usually, a vlogger has an idea in mind of the accessories they want to use and set up with the device before buying. You will need a lot of effort and time to make a start-up setup. Usually, it includes an external microphone, a remote control, and a stable tripod. If you are a studio vlogger, then buy a pair of special lamps for exterior lighting. At the moment I want to say that the 4K format is not used as often as we would like. However, I am confident that it will have a good future. Video made in this resolution has a clearer picture. Simply put, the 4K format will be much more interesting. You will have a better and cooler picture when viewed on a large TV than a Full HD image. You are advised to take a camera with a 4K recording mode – this is a great investment. What Do You Need To Edit Their Videos? This question is quite broad, and it is impossible to give a single answer to it. We have a wide range of different programs that can be used. For users of iOS, the free and very cool editor Final Cut Pro is available. For those who use Windows, I want to advise Adobe Premiere Pro and Sony Vegas Pro. But it should be noted that their cost is high. You have to decide what is more important to you – great opportunities, or savings. What Is The Best Flip Camera For Vlogging And Photography? In 2019, people took more photographs per minute than in the whole 20th century. There have been consistent technological advancements and now, even on a budget, it’s possible to shoot excellent content. The aim of my list was to present to you the best cameras available now. Bearing in mind they are all suited for different tasks, no matter what you want there’ll be something for you here! To be honest, all the cameras give you good quality. For those who are not engaged in this activity on a serious level, they will not see much of a difference between the pictures with the Canon 70D and the Canon PowerShot G7X Mark II. 80% frame quality will depend on the optics. Here you need to think and decide what is more important to you – a photo, or a video?